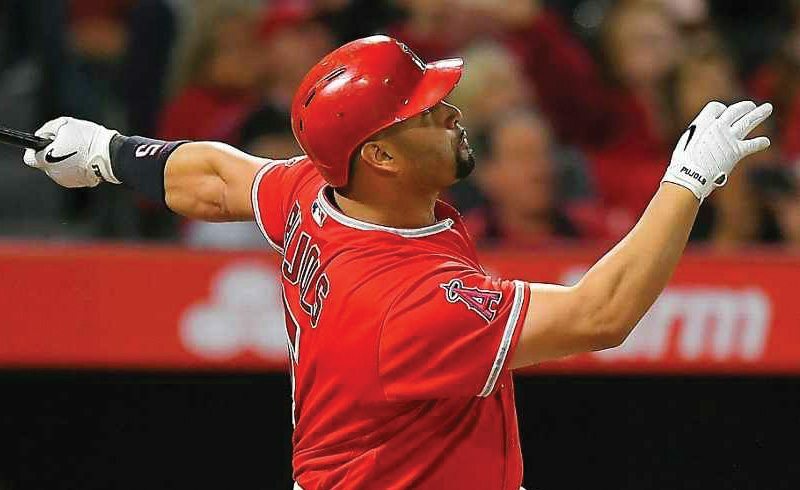 Albert Pujols hit home run number 600 last night in grand fashion. Pujols became the 9th ballplayer in MLB history to reach the 600 home run club, and did it with a grand slam. Though it was a historic night for the one-time Cardinal, MLB went ahead and broke another record set back in 2000. Seven grand slams were hit last night, breaking the previous record of six set on May 21, 2000. That day, the slams came off the bats of Garret Anderson, J.T. Snow, Brian Hunter, Jason Giambi, Shawn Green and Adrian Beltre, the only one of the group still playing in the big leagues today. Last night’s slams were hit by Mike Zunino for the Mariners, Pujols for the Angels and No. 600, Kyle Schwarber for the Cubs, Matt Adams for the Braves, Ian Desmond for the Rockies, Travis Shaw for the Brewers and Chris Taylor for the Dodgers. Mike Zunino extends the Mariners lead to 9-1 over the Tampa Bay Rays. Kyle Schwarber gives the Cubs a 5-3 in the bottom of the 7th. Ian Desmond extends the Rockies’ lead over the Padres to 8-1. Matt Adams puts the Braves on the board in the top of the 5th inning. The Brewers and Dodgers traded grand slams in their game last night, with the Dodgers ultimately winning 10-8. Travis Shaw crushes a his first career grand slam to give the Brewers a 7-4 lead. Chris Taylor gives the Dodgers a 10-8 lead with his Grand Slam in the top of the 9th – his second of the year. Edison Volquez also threw a no-hitter for the Miami Marlins yesterday, dedicating the game to his fallen Kansas City Royals teammate Jordano Ventura and Jose Fernandez.